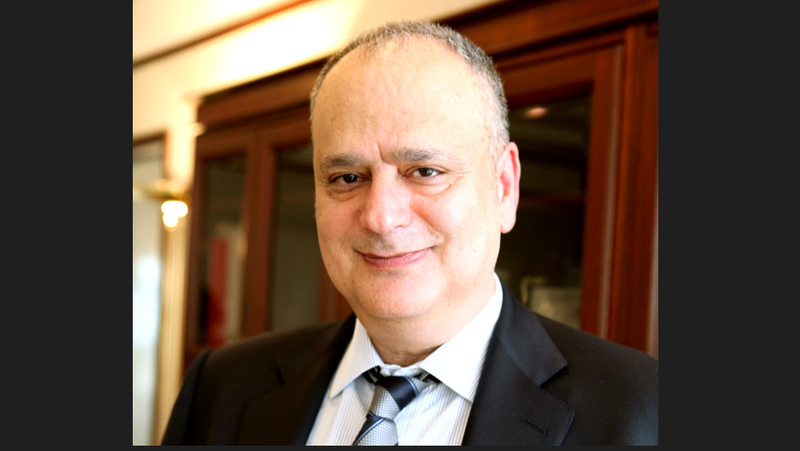 Michel Accad is former CEO of Gulf Bank. The ex-governor of the National Bank of Kuwait said he expects non-performing loans to decline in 2011 after they fell to 7.4% in 2010 from 10.2% in 2009. The Financial Times is saying LLPs will continue to put downwards pressure on profitability and there are many other issues; for instance, demand for loans is not expected to rise. What is your overall assessment of the banking sector? I'll tell you a little bit about what's happening with Gulf Bank on the non-performing loans in Kuwait and then we can assume that's probably the case with the other banks as well. 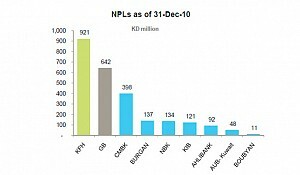 A couple of years ago, the non-performing loans of Gulf Bank were particularly high – 24% of our total loans. Today, they are down to 10 or 11%, which is a remarkable reduction. However, as the situation continues to deteriorate, while you can certainly expect the non-performing loans in Kuwait to continue to decrease, they will probably reduce at a much slower pace than they have over the past couple of years. What about the LLPs and demand for loans? Most banks have increased their loan loss provisions in Kuwait - whether specific or general provisions. In our case, we are more than 100% covered by provisions and many banks are in a similar situation or not far from a very comfortable coverage. As far as demand for loans is concerned, unfortunately most, if not all, banks in Kuwait are extremely liquid, but find it very difficult to place their loans with credible borrowers or credible projects. So, the demand for loans in Kuwait is down simply because there is uncertainty about the future. We were able to increase our net profitability by about 60% from just under KD 20 million in 2010 to over KD 30 million in 2011. I think that in terms of net profitability the trend will continue broadly along the same lines. 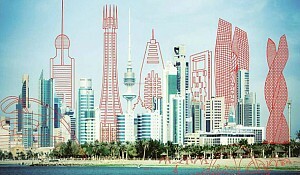 There is a limited number of funding opportunities in Kuwait, which are mainly in oil-based projects or real estate. How do you fight in this kind of environment? How do you position yourself and where do you see opportunities for growth? It's true that historically there has been a focus on loans for real estate or shares because they were the two most typical securities that banks would require as collateral. However, we should stop thinking about lending against security or asset-based finance and start thinking much more about lending against cash flow. There are plenty of sectors, from the retail sector to the contracting sector to trade finance – Kuwait is still largely an importing country. There are a lot of opportunities outside of traditional asset-based finance areas. The problem is that there isn't much activity within these other areas right now. All this could change, if the government becomes much more aggressive in its development plan; the plan was supposed to start a couple of years ago and so far very little has trickled down. We hope that there's going to be much more development activity in the future. What about your strategy in terms of growth? You mentioned retail, but retail has limited returns because interest rates are very low and you have to provide some sort of interest rate for the retailers, so it's not as profitable. It's true that it is a low-margin business, and the Central Bank has set some very tight maximum spread criteria on the retail side and therefore it needs to be managed carefully. However, there are activities in the retail or consumer banking sector other than just loans. There are investment funds and deposits, for example. Sometimes there is a price issue, but because the consumer banking market is relatively large, it still remains an attractive opportunity and an area where Gulf Bank would like to increase its market share vis-à-vis the competition. Even internally, we would like retail to become a bigger part of the pie. You mentioned that the Kuwait development plan could make a real difference in the sector. Is Gulf Bank relying on this plan or looking to be a little more defensive – looking outside – because it's quite unpredictable? Of course it's unpredictable. Normally, when we do our planning, we hope for the best, but plan for the worst. So, in terms of numbers, we haven't factored in a lot for the development plan, but we've factored in what we've seen based on the recent past. After all, some activity and projects have been approved or are in the process of being approved, although they constitute a small portion. All we're saying is that if an acceleration of the development plan doesn't happen, I think you can expect a downward trend in the economy, not in terms of a reducing GDP, but definitely a reducing GDP growth rate and a flattening of economic activity. We also expect that if nothing is done, the fall that you've seen in the stock market, generally speaking, and in the commercial real estate market will continue, because there's nothing to stop it. Now, maybe we should talk about your strategy: a promise inspired by Domino Pizza, which guarantees fast delivery and cash back on failure to deliver. How does this come into your strategy? This is, of course, a major differentiating factor between the other banks and Gulf Bank. I think that's absolutely right. You see, when there is no or limited competition in price - in the retail sector, for example – then, the competition has to be either in product innovation or differentiation in terms of service quality. 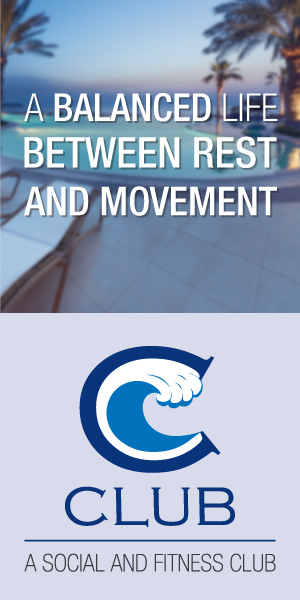 We have decided to focus on service quality: how can we provide the best and the fastest services to our clients? We looked at a number of important products – important from our clients' perspective – and what was it that our clients wanted? 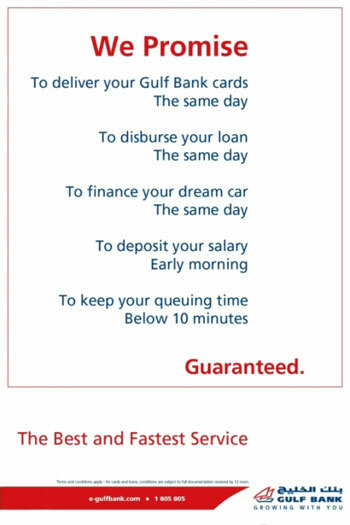 They wanted speed and reliability, so if we could deliver the loans the same day or provide a credit card the same day that would make a big difference. Of course, it took about a year of working internally to remap our processes, change our IT system and upgrade our credit scoring that would eliminate most of the subjective judgment that is involved in every retail banking decision. A lot of work has gone into it but I think it was enormously successful. It was very well received by our customers; as a result, I can tell you that since we introduced the 'We Promise' campaign in mid-October of 2011, the daily loan and credit card volume in Gulf Bank has increased by 50%. I think that is remarkable and I believe that right now we are essentially the leader in the market in terms of new loans, which is in large part due to this exercise. Let's talk about some financial ratios. How do you see the bank performing in 2012 in terms of the basic financial ratios, which are the growth of deposits, return on shareholders equity, etc.? As in many places today, it is obviously very difficult to project and make forecasts, but consider what happened on the bottom line last year: we were able to increase our net profitability by about 60% from just under KD 20 million in 2010 to over KD 30 million in 2011. I think that in terms of net profitability the trend will continue broadly along the same lines. Of course, this is dependent on the level of further provision that is required and how the economy continues to perform. But at least as important, as far as I'm concerned, is the top line: are we able to hold the top line - the core operating profitability, stripping out those extraordinary items or one-time events? Actually, we have done very well in 2011 in that regard: we have increased our business by about 7%, which also reflects our growth in our loan book. I'm not sure if we will be able to maintain that in 2012. We will definitely be able to maintain it, and even do better, if the development plan accelerates, but if it doesn't, then our aim is to simply do better than the market. So, if the market grows, like in 2011, by 2% or 3%, we should be able to grow faster. At the same time, we need to continue to keep our eye on the ball as far as the non-performing loans are concerned because they are big challenges as well. You mentioned that non-performing loans are still a challenge. Where do you see these challenges exactly - in which business line? Is it the large conglomerates that have over-exposed themselves to some sectors and are putting Gulf Bank behind? In general, it is almost everywhere on the corporate banking side. There are a couple of sectors that have been affected a bit more than the others: the investment sector – finance companies and so on – and the real estate sector, simply because the value of the collateral has decreased quite substantially, exposing the banks. To give you a sense, in 2009 and 2010, Gulf Bank had to take provisions in the range of KD 100 million each year. In 2011, the KD 100 million became KD 70 million. We expect and hope that in 2012 the amount will be even lower. So, when you've been quite aggressive on your non-performing loan, this is the tail end and it will tend to reduce. Of course, you can always imagine that there's a doomsday scenario and something dramatic happens, but even if the economic situation fails to improve, we believe our NPL numbers will tend to improve, in general, meaning that we would need to take less and less provisions as time goes by. In terms of your market share, are you poised for growth? Our ambition is to be a dominant player in the local retail and commercial banking space. Being a dominant player means you really need to have something like a 15% market share. Today, we are far from that; we're in the range of 11 or 12% depending on the specific product. Of course, I don't expect to reach 15% in four or five years organically, but the focus of our next plan is indeed to expand our market share – possibly by up to a couple of percentage points – without sacrificing our profitability. So, over time, year on year, we would like to see some improvement in our market share, and this happens by definition if you are able to grow faster than the competition. Other banks are doing the same as you, right? Of course, everybody is trying to improve his position, but that doesn't necessarily mean that it's only a market share game; for some it may be a profitability game, and sometimes in a profitability game you have to give away scale for profitability and focus on cost, for instance. There are other banks that have a big focus internationally or regionally; if you look at the big ones like NBK or even Burgan Bank, a substantial and growing portion of their business is generated internationally and for them that's very important. Therefore, their focus is not solely on the local market, and that gives us an edge, because when you're more narrowly focused then you can focus on that one thing probably better than someone who is focused on several things. But at the same time, they can diversify risk; they can get the growth from the outside market and provide the liquidity from Kuwait, which you can't do, so you're in a difficult position. You're absolutely right, but my aim is not to be bigger than Burgan Bank or NBK. My aim is to grow my market share locally, and if they grow their top line faster overall thanks to their international business that's fine, I'm very happy. 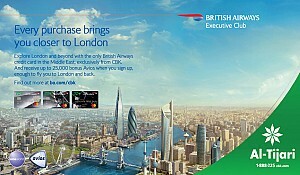 In terms of the growth of the banking sector, what is your prediction for 2012? In 2011, growth was only a couple of percentage points and, again, this was essentially driven by poor demand for loans. I don't think 2012 is going to be vastly different. Maybe, as the government spends a little bit more because they realise they need to do it, we can hope for slightly faster growth, but not much faster. My guess on the banking system is that growth is probably going to be between 3 and 5%, but I'd rather not be held by a number. It's not going to be like it was in 2006 or 2007, it won't be at that level for the banking system; I think it will be close to last year, probably only slightly better. What sort of feedback are you receiving from the customers now that you're focusing on retail? What are some of the success stories? Feedback from customers is positive both from the retail side and the corporate side. 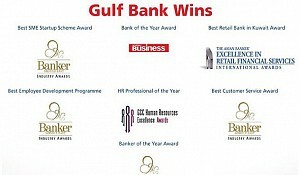 By the way, the commercial banking business is also a core business for Gulf Bank. If you look at how Gulf Bank's income and revenue is split, 60 to 70% of the top line actually comes from corporate banking rather than retail, so corporate banking remains most critical for us and will continue to be the primary contributor to our income; we don't expect this change. Remember, the vision is to be a local retail and commercial bank. Feedback on the consumer side has been very positive, for example in terms of the 'We Promise' campaign and the quality and speed of the service that we offer our clients; I think this has been very much appreciated. On the corporate side, I think the feedback has been positive from clients who have faced some difficulty; they know that we don't automatically pull the rug from under them. Of course, there are cases where we think there is no hope and it's better for the customer and for us that we liquidate or terminate the relationship, but those cases tend to be the minority. In most cases, we work very closely with the customers who have had issues and when the customers recover, they are very appreciative of what we do. At the same time, there are corporate customers who play a very critical role in sectors such as the contracting business and the trade finance business where we are one of the leading banks. Even in project finance, if you think of the big projects like power stations and roads, essentially there are only two banks on the corporate side and they are NBK Capital and Gulf Bank. With the growth of these corporate clients, some of them have regional ambitions. How are you going to reconcile yourselves to the fact that you won't be able to grow with them in the region? Our ambition is to be a dominant player in the local retail and commercial banking space. Being a dominant player means you really need to have something like a 15% market share. Today, we are far from that; we're in the range of 11 or 12% depending on the specific product. I don't have international or regional growth ambition, however, on the other hand I certainly don't want to discourage people who do; I think they should try and fulfill their ambitions. So, I will not be competing with them on the regional side. It's a conscious decision that we have taken not to be a player in the proprietary trading business, asset management business, brokerage business, or international. Nothing would prevent us from doing something like this, but we are not interested because it's not our core competency. If you look at the past and see where our problems came from, you will see that they came from the fact that we went into businesses that we didn't know very well. 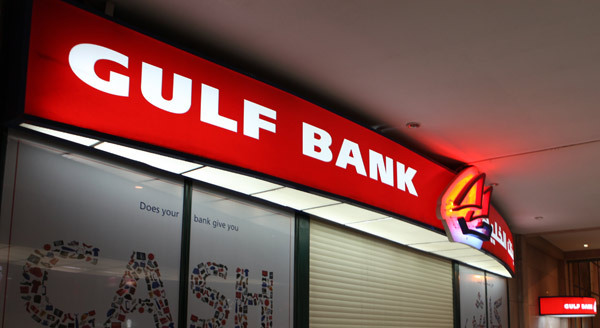 However, conventional retail and commercial banking is an area of enormous strength for Gulf Bank historically. Even if you go back 50 years, since our inception, it was our core strength, and I think we should focus on what we are good at. Because the private sector is controlled by the large families, does politics sometimes get in the way of doing business and do you sometimes get into conflict of interest providing loans to people who know each other? In reality, not at all. Since the crisis – since early 2009, a new governance structure has been put in place to decouple personal shareholder interests and the interests of the bank as an independent entity. That has served us over the past two or three years very well. I think if you have the proper governance structure, those issues are not much of a problem. I'll just say a word about our strategy at the end of 2009. We had a two-year strategy to rebuild trust and restore profitability and I think we have essentially succeeded; the programme was to end in 2011 and the crowning achievement of this programme was the 'We Promise' campaign. Now, we have just finalised our strategy for the next four or five years and it is much more ambitious – it's longer term focused and it's about growth aspirations and gaining market share. Within this strategy, we've decided to focus on a number of initiatives that would hopefully give us the edge over the competition and allow us to grow faster locally. 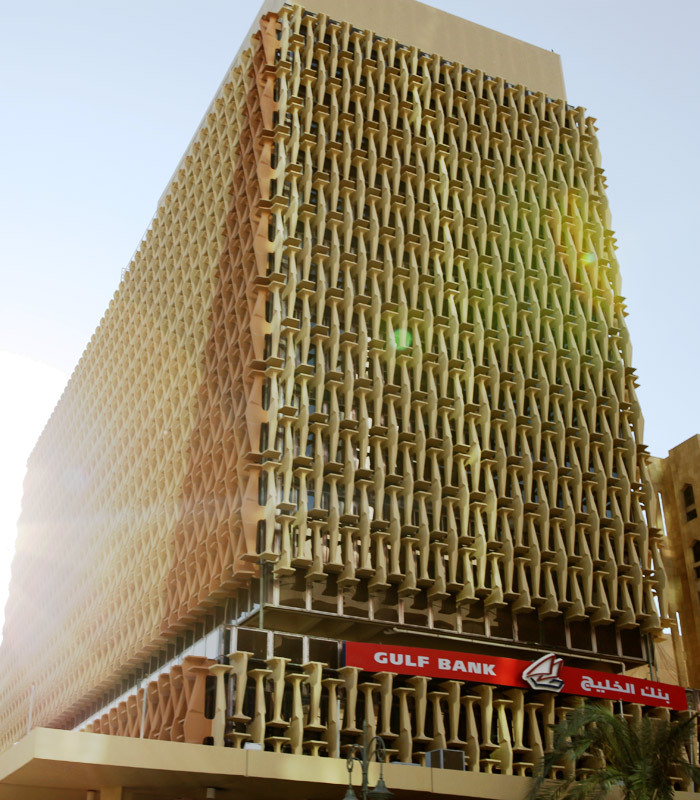 So, we are very excited about what is going to happen to Gulf Bank over the next few years.